A design task helps students identify and find solutions to a school-yard problem. 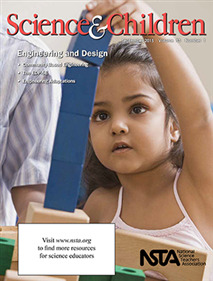 "Community Based Engineering" is a great resource to add to your library. This article highlights how to conduct problem based learning with students to create a solution to a problem in the community. This article provides a step by step process teachers should use when beginning an activity that has a problem based learning activity for the students. I would recommend this article to anyone who wishes to expand their knowledge on getting the class involved in helping the community while learning.